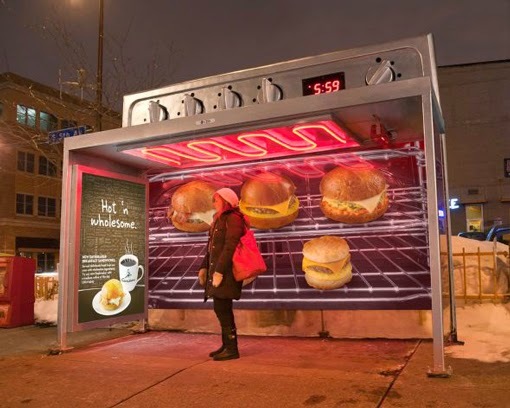 We thought it would be super cool, to feature a few really creative and interactive billboard ads, to get your outdoor media juices flowing!! 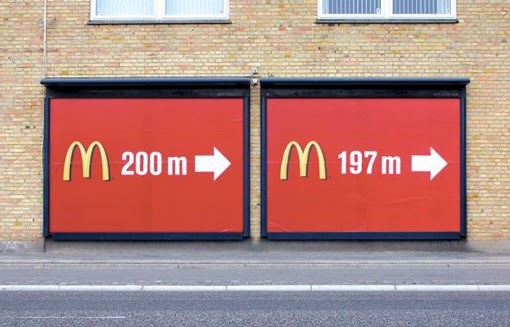 Outdoor advertising is a very interesting medium, and most companies use it to place their brands on the media map. Below are concepts that are mind blowing and cool to see!! 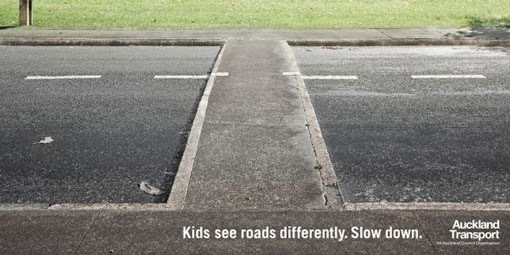 Depicting how children view streets and that drivers should be aware of their safety. 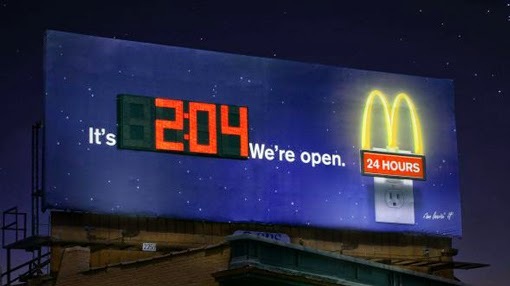 McDonalds is quite innovative, humerous and creative with their ads all the time. You cannot simply walk passed them. A play on reflection advertising, giving you the full logo . 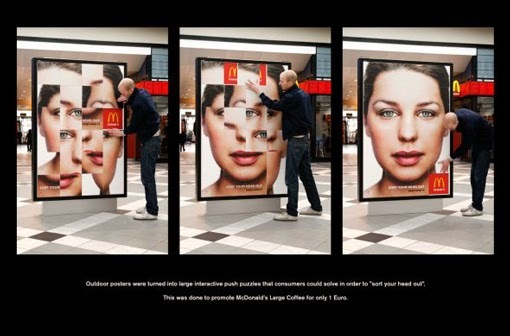 Interactivity to keep people occupied and also create top of mind awareness. 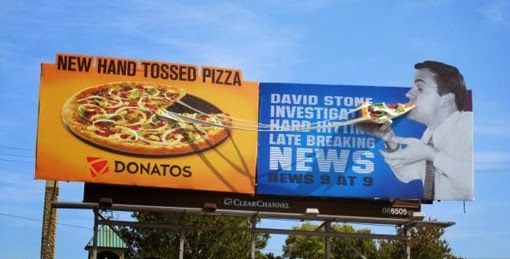 Some billboards just speak for themselves!! 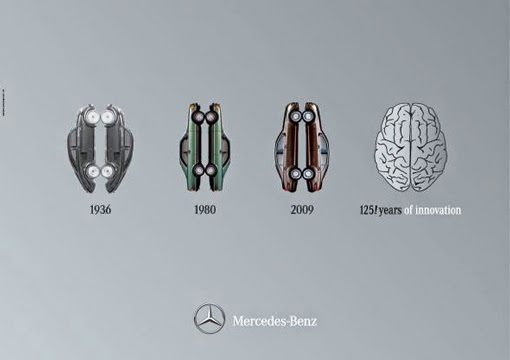 This one is a little difficult to identify at first, but is graphically well done. 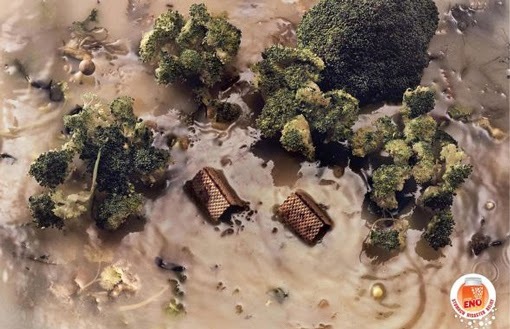 It looks like a flooded plain but upon closer inspection you see that it is really food, floating in stomach acid, a nasty but great mental picture of ” disaster relief” stomach medicine. 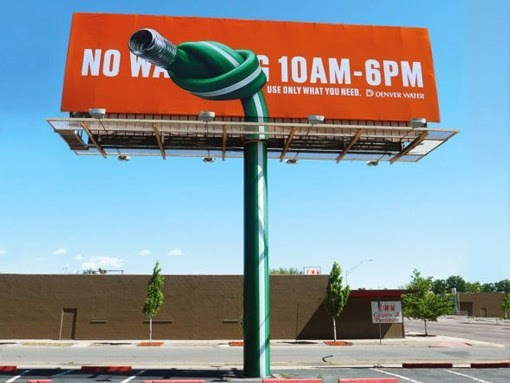 This traditional billboard seeks nothing but the attention of drivers passing by, and that is EXACTLY what it will recieve..alot of attention. 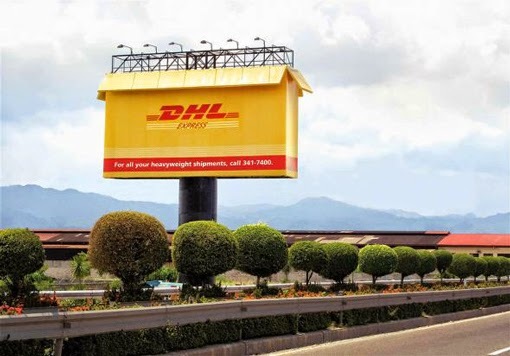 The human brain simply can’t ignore a giant upside down billboard face, its impossible to miss!! Great job Toyota, we see what you did there.. 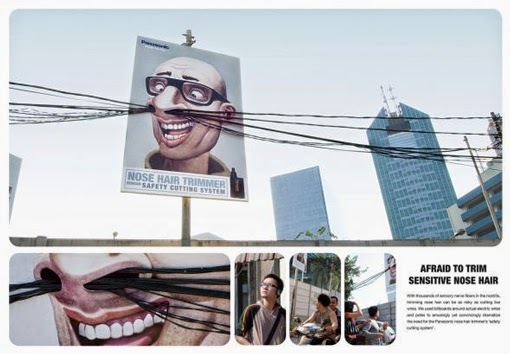 The next couple of billboards illustrate the use of 3D concepts, bringing billboards to life. 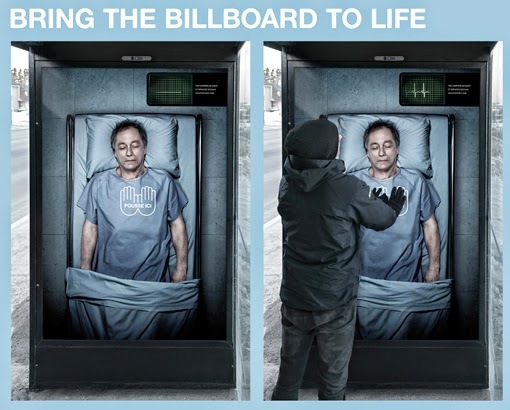 Below we have an interactive bus stop ad that literally sends the illustrated humans heart rate up, upon resuscitation. 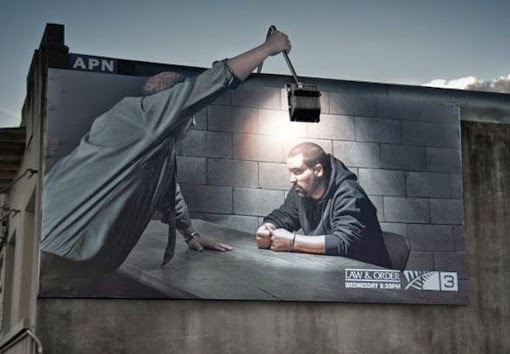 This is literally bringing billboards to life! A life size Oven!! Would be super awesome to stand under, don’t you think? 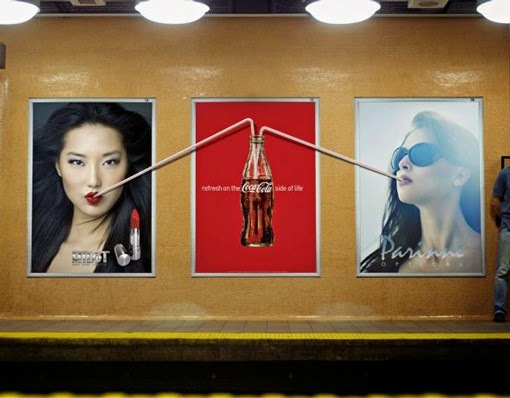 Coca Cola does the unimaginable and overlaps its ad campaign with the use of others boards surrounding it. 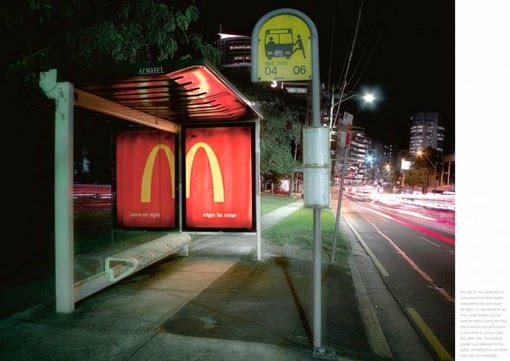 That’s what we call, super smart and cheeky advertising at its best! 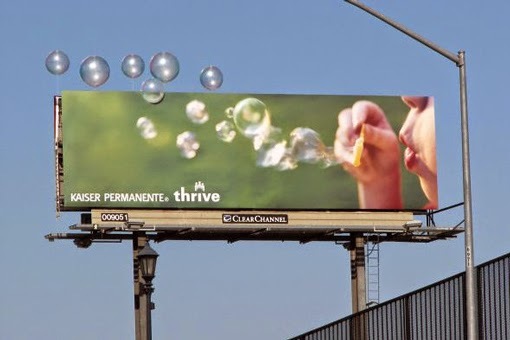 The use of existing material can play a crucial role to a billboard, able to separate it from the rest. 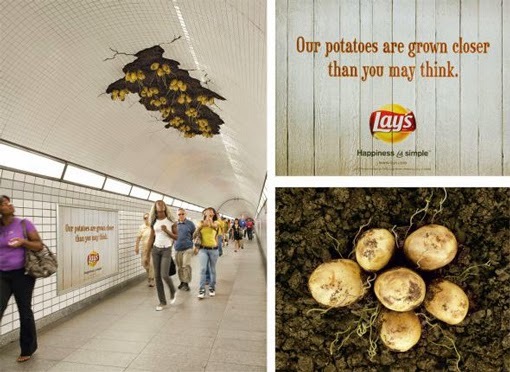 Lays just had to mess with our minds on this one!! 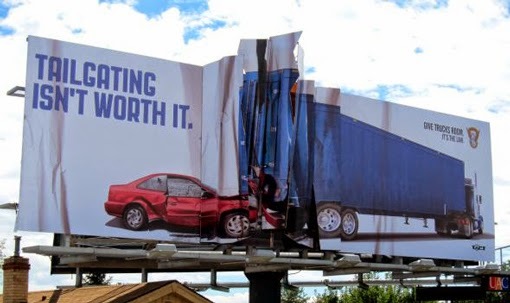 So bear in mind that creative advertising using billboards can be the ultimate money maker of your business, and really get people talking about your brand! 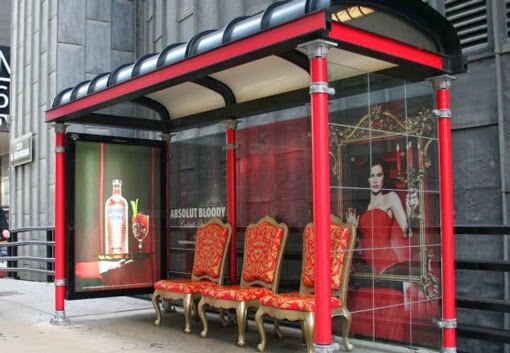 At FrontSeat Group, your idea is in good hands, as putting up all forms of outdoor media is our strength. Busy With LiquorLand!! FrontSeat loves MTN!